Yesterday was Saturday, March 28, 2010 the 87th day of the year which is also Rabia-II 12, 1431 in the Islamic calendar or Nissan 13, 5770 in the Jewish calendar that is the equivalent of Eryue 13, 4707 of the Chinese lunar calendar. Saturday daytime was 12 hours and 21 minutes long which was enough to reach the 2500 visitors milestone on this blog. The Romans represented 2500 as MMD but the binary representation is 1001110001002. The number 2500 is a perfect square which can be written as 2500 = 142+482 or 302+402. In case you did not understand what is meant by all this then I would like to simplify it for you by saying that 2500 visitors like you had visited this blog since I publicized it in January 3 , 2010. Thank you for re-visiting. The most visited posts and pages since the start of this blog are listed below. To my surprise, three out of the five top visited places are special pages where I post researches and case studies. I always thought that readers are interested in the posts, but apparently most of you are intellectual readers who wants to sharpen their knowledge. The old cliché state “there is a first time for everything” and many of you had seen the first E-mail, first photo and the first news coverage on the new Airbus A380. 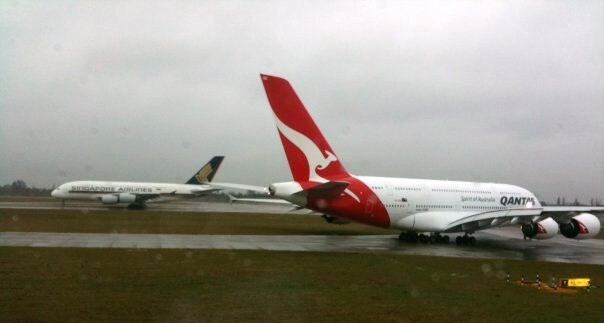 The picture below shows the first time two Airbus A380‘s about to fly back to back. Think of the success of Airbus, they sold so many A380‘s to the point where one of them has to wait for the other to take off. Henri Matisse, one of the best-known painters of the 20th century, once said “there is a flower everywhere, if you bother to look”. In other words beauty comes in different shapes and colors but we are too busy to notice it. To some of us, the picture is only showing two big airplanes standing on the runway. To the other readers, the pictures display two beautiful birds about to fly. The picture below is a first time event captured by an excellent photographer who happens to be a pilot flying the next plane on the queue. The photographer is Kuwait Airways flight officer Mr. Feras Malallah who is a professional photographer when not flying one of the Airbus airplanes. I have been taking almost the same highway every day to work. I am lucky to be working outside of Kuwait city. The big advantage I had is going in the opposite direction of the traffic every day. While most of the people are driving into the city, I will be going out and the same situation is when I am coming back home from work in the afternoon. 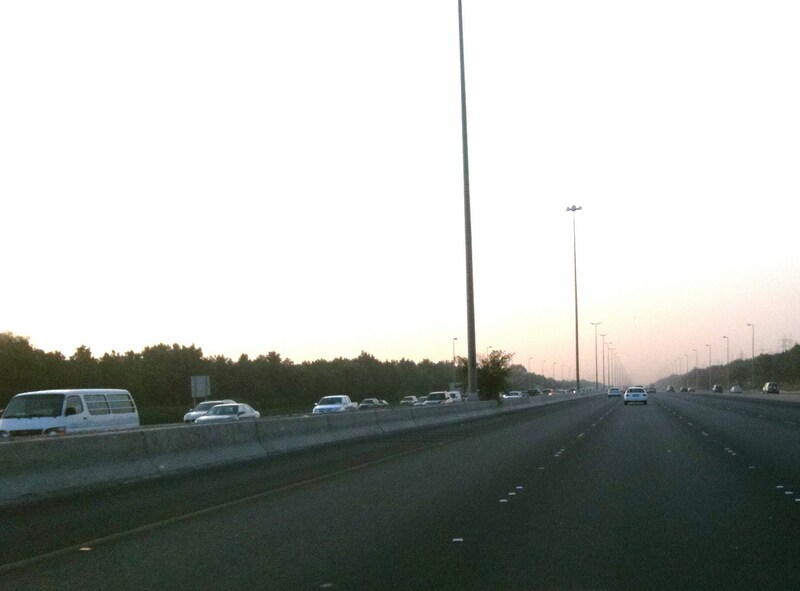 I took this picture one day (6:30 am) while going to work and you may notice the difference in the traffic on both sides of the highway. I usually listen to an audio book or podcast while driving. No traffic jams, no stress no nonsense!